Emma will delight you with her music. Enjoy BBQ from Hog It Up while you listen, and sip on our award-winning wines. Enhance the evening with a yummy pastry from Pop Up Patisserie. Local Favorite, Gary Smallwood, is back with some great music and songs. Brother Shuckers will be here with their fabulous seafood, starting at Noon! Hog It Up BBQ is great with your favorite Doukenie wine. Relax this Sunday, by our pond, and stay awhile. Singer-songwriter, Jason Masi, will capture your heart with his new music. Ribinator will be here to offer delicious food to go with our wine. And you must have some yummy pastries from Pop Up Patissiere ! It’s Rose Weekend! Joey & the Waitress will be here to celebrate with their songs. Hog it Up will be here starting at Noon, and may have something special to go with our new Rose! It’s Rose Weekend! Try our newly released Rose, and relax as you listen to the great sounds of Ken Wenzel. BBQ at its best comes from Hog It Up this Sunday at Doukenie. Come enjoy yourself with a glass of our award-winning wines. Emma will delight you with her beautiful songs. Enjoy some BBQ from Hog It Up with your favorite Doukenie wine. Pop Up Patissiere is back with your favorite desserts! After a tour of the vineyard, an exploration of Doukenie’s wine cellar and a private tasting of our wines, guests at Doukenie’s Vines to Wines Tour will impress friends and influence others with a newfound knowledge of all things wine. This two-hour fun and educational tour will provide guests with a new appreciation of that next bottle of wine. Our Vines to Wines Tour is offered the first Saturday of each month (April – October) and by special request. Length: 2 hours,each at 11 AM or 2PM. Pricing (per tour) $30 Heritage Club Members | $50 General Public. Deane Kern is back to perform for your Saturday at Doukenie. Brother Shuckers will arrive at Noon to provide their Chesapeake prize seafood. Perfect to have with our new Rose! Deane Kern is back with his music for your listening enjoyment. Brother Shuckers are back with their fabulous seafood. Try some with our Sauvignon Blanc! And desserts are on hand from Pop Up Patisserie. We welcome Borrowed Time Music to Doukenie, bringing their mix of classic rock, country, pop, oldies and folk. And welcome back one of our favorites: Mediterranean Breeze will be here starting at Noon. Enjoy your day at Doukenie! Joey and the Waitress will be here to serenade on Mother’s Day. Hog It Up will be here at 11 AM to 6 PM with their BBQ specialties, and we will have Pop-Up Patisserie from Noon to 6PM for all the Mothers enjoyment, and everyone else, too! Local Favorite, Gary Smallwood, will keep you entertained this evening. 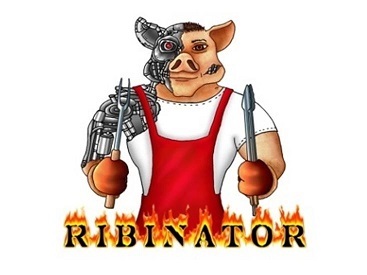 Ribinator will satisfy your hunger. Enjoy the evening with your favorite Doukenie wines. Pop Up Patisserie is back with their yummy fresh pastries! With a songlist of originals and covers, Don Chapman is sure to amaze you. Hog It Up is back with your favorite BBQ starting at Noon. Emma Rowley brings her lovely voice to entertain you for the evening. Enjoy our award-winning wines with some Hog It Up BBQ! Have your favorite pastry from Pop Up Patisserie. Original songs by Jason Masi will capture your heart. Brother Shuckers will arrive at Noon with their incredible seafood., perfect with Doukenie wine. Gary Smallwood is here for your listening enjoyment this Sunday over Memorial Day Weekend! Relax with your favorite Doukenie wine and unwind. Ahhh, Bistro Night, and the last day of the month. Relax while enjoying the songs of Joey & the Waitress, and beautiful seafood from the Brother Shuckers. Have a toast to summer with your favorite Doukenie wine and yummy pastry from Pop Up Patisserie! OPA!! Celebrate the Bazaco Family's Heritage with Doukénie Staff for a fun-filled day! ~ Take a Hayride into our Vineyards to see the buds! Tours at 12, and 2PM. ~ Enjoy a Lamb Roast and other delicious Greek foods for purchase prepared by Mediterranean Breeze. Hog It Up brings their best BBQ for you to enjoy with our Wine. Come, relax, enjoy! Singer-songwriter, Juliana MacDowell, brings her original songs to Doukenie. Aren’t we lucky? Come see what she is all about, and enjoy our award-wining wine while you are here. Deane brings his music to Doukenie, so you can enjoy it with our wine, and Hog It Up BBQ. Joey always brings great people and great songs. Brother Shuckers will be on hand with their fabulous oysters and seafood. Perfect with Doukenie wine and a pastry for dessert from Pop Up Patisserie! Come enjoy some BBQ from Hog It Up, with your Doukenie wine today! Enjoy the music of Pete Lapp while sipping on your Saturday Doukenie Wine. 3 Fires Oven will be here from making pizza for purchase from Noon to 5PM. So come hungry! Spring is here! Time for our Bistro Nights!! Deane Kern starts the ball rolling with his great songs. Hog It Up will roll in with your favorite foods! And new for Bistro Nights, Pop Up Patisserie will be selling pastries in the Tasting Room. So come on by and get your favorite Doukenie wine! Jason Masi will “Capture Your Heart” with his songs! Be sure to spend a lovely Spring Sunday at Doukenie to hear him, and enjoy some of our beautiful wine. Hog It Up will be here from 2 to 4 PM! Gary brings his incredible guitar and songs to our patio again. Roaming Bistro is back at Noon, with your favorite foods. Doukenie is always here with your favorite wine. Come enjoy some of your favorite barbecue from Hog It Up. They will be here from 2PM to 4PM today, and there offerings go great with Doukenie wine. Spring is here! Enjoy lovely Emma Rowley as she performs her songs. Sip on your favorite Doukenie wine, and have some Hog It Up BBQ too! Stephanie Mendez will sing your heart away, while Phil Kuhn plays the keyboard. Maybe even a few Irish tunes will be on the program for today! Hog It Up BBQ will be here from Noon to 2 PM! Leesburg great, Don Chapman performs rock, blues, and pop for your enjoyment. Roaming Bistro will be on hand with their delicious specialties. Doukenie wine goes great with both! Aspiring winemakers, oenophiles and wine-lovers looking to immerse themselves in the wine-making process are presented with a unique immersion experience at Doukenie Winery’s Winemaker for a Day. The four-hour experience begins in Doukenie’s 500 acre vineyard, pruning, and learning the care and handling of the vines with winemaker James Phillips. Guests will then move into the cellar to participate in a rare tasting of the 2017 vintages directly from barrels, venture into Doukenie's underground 'Library' to uncork decades-old, unlabeled vintages and enjoy an immersive and in-depth experience in the wine-making process. The Winemaker for a Day program concludes with an private, intimate dinner by Savoir Faire hosted by winemaker James Phillips in Doukenie’s Tasting Room. 4pm: Guests will meet winemaker James Phillips in the cellar, then venture in the vines for a study and lesson on care of the vines. 5pm: Guests will return to the cellar for a library tasting, barrel tasting and exploration of 2017 vintages and blending lesson. 6pm: Guests will enjoy the seclusion of the Tasting Room held privately for a stunning dinner by Savoir Faire with wine pairings. Tickets are $175/per person and can be purchased here on Eventbrite. How about a little bit of Rock with Pete Lapp? And Hog It Up BBQ? Doukenie wine goes great with both! Ken has some new tunes, so be sure to come hear them, and relax with some of your favorite Doukenie wine. Spend a “Country” day at Doukenie, with Joey and the Waitress Band, and food from Roaming Bistro food truck. Spring is on the way! Singer-Songwriter, Jason Masi has a new album out, that will “Capture Your Heart”! Let’s welcome him back! Hog It Up will supply the food, so come on by! Relax this Sunday listening to the songs by Joey and the Waitress., while enjoying your favorite Doukenie wine. The fire is still going strong this winter! Aren’t you lucky! Don Chapman is back, and so is Roaming Bistro. A Perfect Saturday to enjoy at Doukenie. Incredible music, and yummy food! Gary is back with his fabulous music. Hog It Up is here with their BBQ. So it’s time to spend the day at Doukenie! Relax today at Doukenie with your favorite wines and listen to some great songs performed by local favorite, Deane Kern. Joey & The Waitress is back to start your February with their beautiful songs. Warm up by the fire with your favorite Doukenie wine while you are listening, and have some specials from Roaming Bistro food truck. It’s Saturday. Time for beautiful music and food at Doukenie. The popular Liberty Street will certainly entertain you, and Hog It Up is back with their BBQ. So come on by! Don Chapman performs his original songs, as well as classic rock and pop at Doukenie today. Relax a while, have some wine, and fabulous food from Roaming Bistro. Singer-Songwriter, Jason Masi brings his music to Doukenie today. And Hog It Up brings their famous BBQ! Come join the fun! Start the New Year right, with Doukenie Wine while enjoying your favorites with Joey and the Waitress. The Roaming Bistro will also be here with their fabulous bistro foods. Gary Smallwood will be here to warm you up for the New Year! Come enjoy his amazing music while you sip on your favorite Doukenie wine!